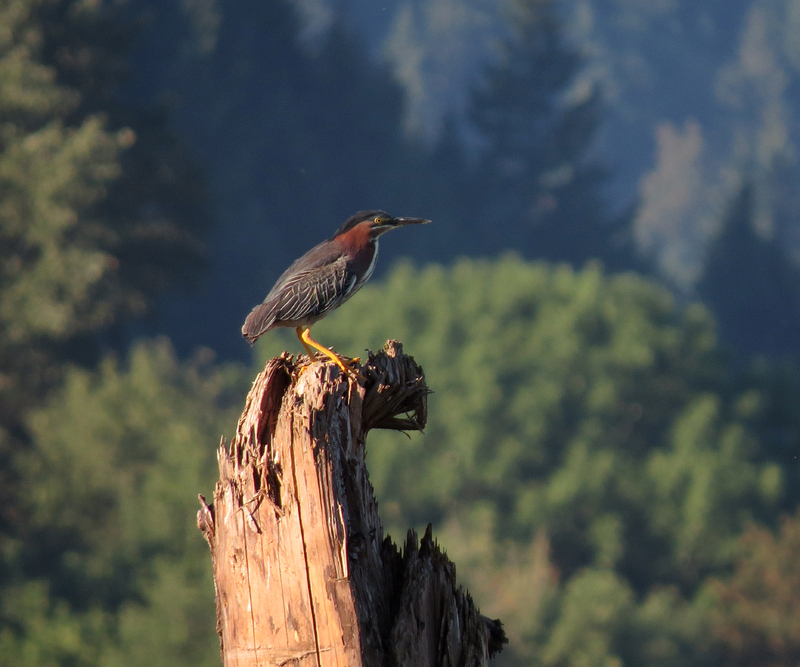 We are two weeks into a nasty heat wave in the Portland area. 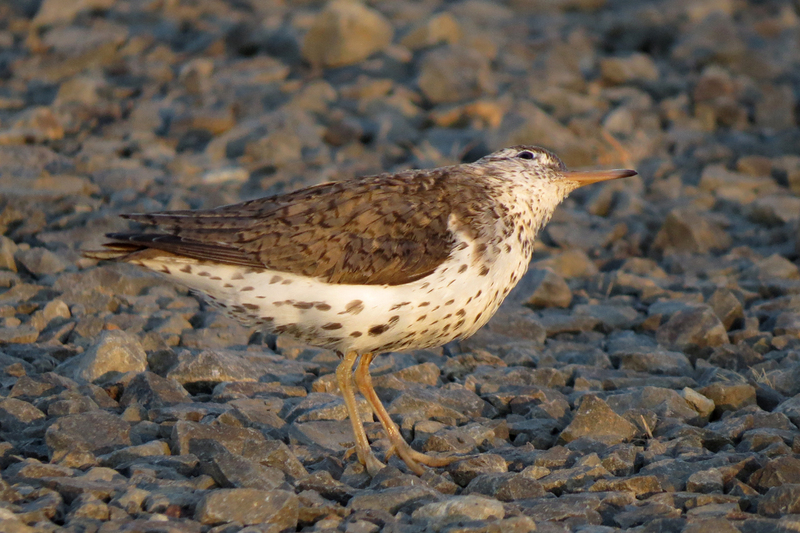 Sunrise is the only time of day when you can bird in any comfort and hope to find any birds active and singing. 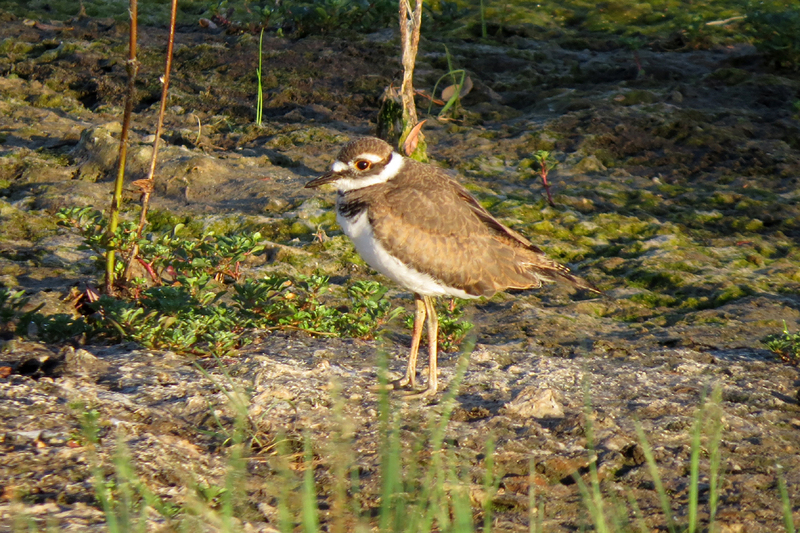 So I got up early and did a bird survey at Fernhill, then made a quick stop at Jackson Bottom on the way home. 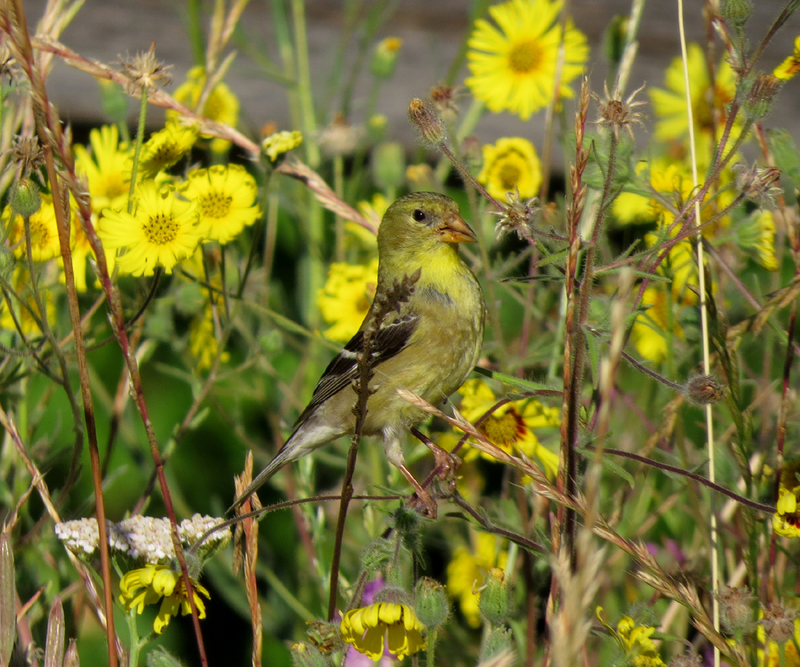 Some of the flowers have gone to seed, providing forage for both American (above) and Lesser (below) Goldfinches. 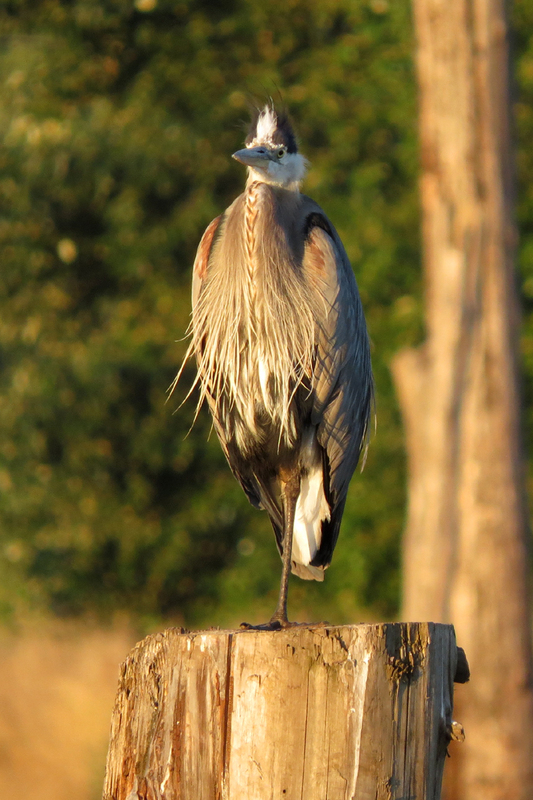 The refurbished wetlands at Fernhill have lots of tree trunks installed vertically to provide perches for birds like this Great Blue Heron. 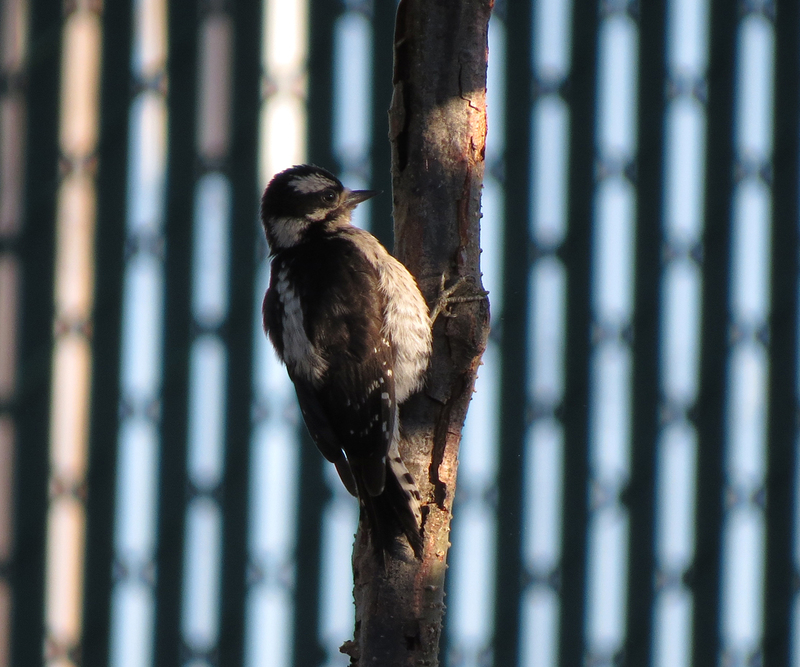 This Downy Woodpecker was checking out some of the new plantings around the water garden at Fernhill. 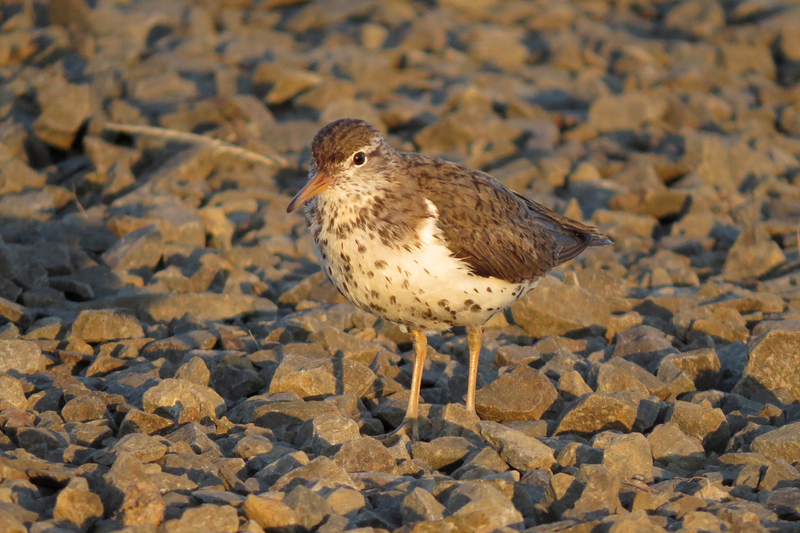 Spotted Sandpipers are the other shorebird that nests at Fernhill and Jackson. 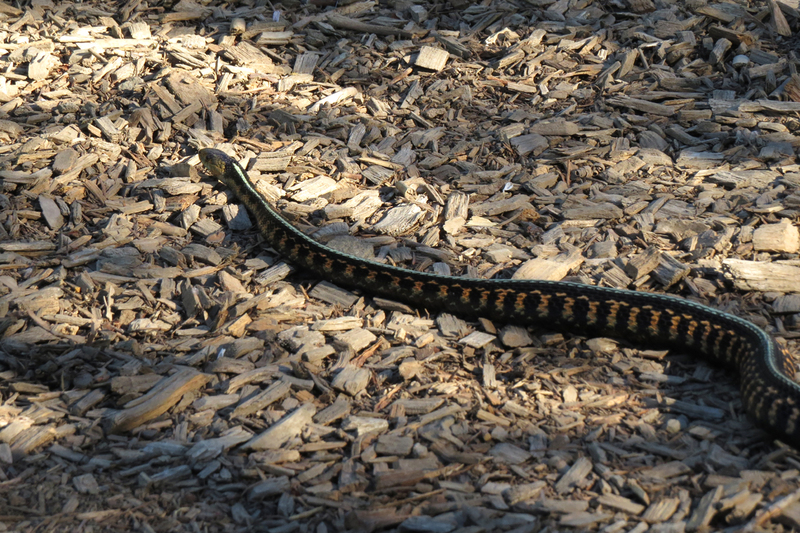 This Common Garter Snake was very thick in the middle. I assume she is gravid. Garters give birth starting in late July. 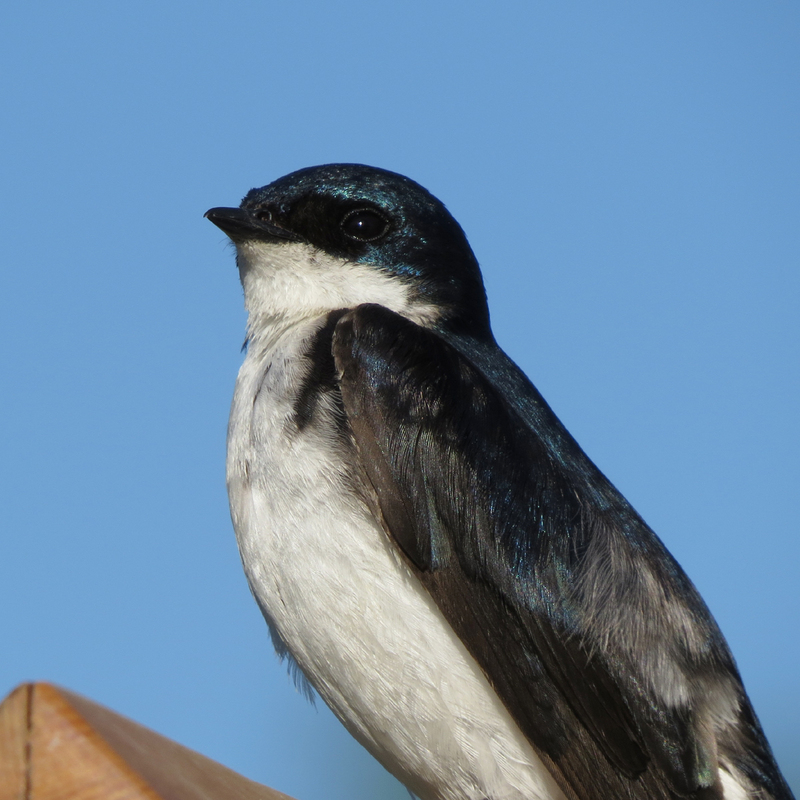 Broods are typically around a dozen, but broods of over 80 young have been reported. 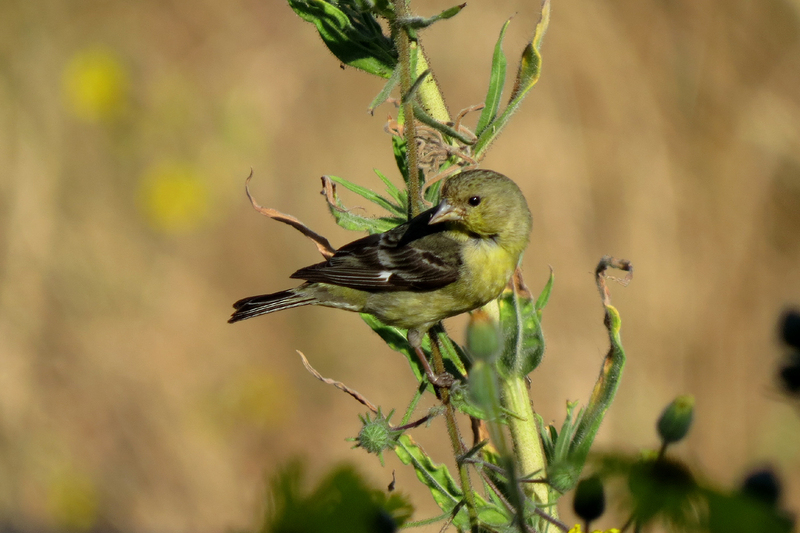 This entry was posted in OR Birding Sites, reptiles & amphibians and tagged American Goldfinch, Common Garter Snake, Downy Woodpecker, Great Blue Heron, Green Heron, Killdeer, Lesser Goldfinch, Spotted Sandpiper, Tree Swallow. Bookmark the permalink.